Nissan's crossover and light-truck models all posted higher sales in April, except for the Xterra, which has been discontinued, the full-size Armada SUV, which has been redesigned for this year, and the Titan pickup, which dipped by 2.7 percent. 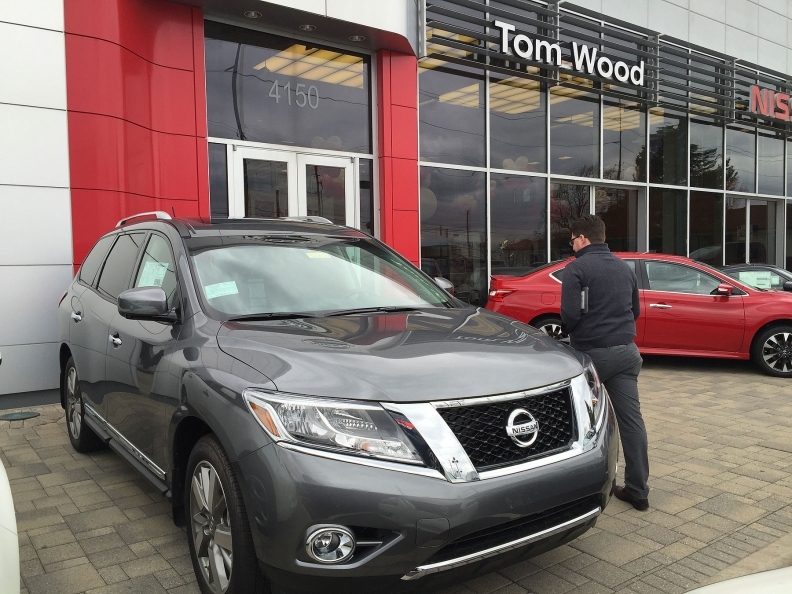 NASHVILLE -- Big gains in deliveries of its Altima, Maxima and Sentra cars helped lift the Nissan brand to 113,429 sales in April, a 14 percent increase over April 2015 and a record for the month. Nissan retailers benefited from ample supplies of the new-generation Maxima and the major freshenings of the 2016 Altima and Sentra, with Nissan posting an 18 percent increase in car sales at a time when crossovers and SUVs are dominating the industry discussion. “Our light truck sales were up 10 percent for the month, which was great,” said Judy Wheeler, Nissan Division vice president for U.S. sales. “But we set a record in car sales. Altima was up 29 percent and Maxima was up 170 percent. Wheeler said the company has sold out of 2015 Altimas in most regions of the country, but the outgoing model still represented a small percentage of Altima sales in April. The nameplate saw 28,484 sales for the month, up 29 percent from a year earlier, and also an April record. All of Nissan’s crossover and light-truck models posted higher sales in April, except for the Xterra, which has been discontinued, the full-size Armada SUV, which has been redesigned for this year, and the Titan pickup, which dipped by 2.7 percent. Wheeler said that the redesigned 2016 Titan is still just barely reaching dealerships. It only became available in January, and only then as a high-end V-8 diesel version. The new generation Titan is not expected to begin reaching full volume sales until late summer, Wheeler says. Infiniti posted a 4.5 percent increase in April to 10,432 cars and trucks, the luxury marques’s second best April results. The brand continues to post triple-digit sales increases for its re-engineered QX50 crossover. The model sold 1,401 units in April, compared to 185 in April 2015. Randy Parker, vice president of Infiniti Americas, said the company has advertised the QX50 off and on since last year. He attributed the sales results to more consistent advertising at the Tier 2 and Tier 3 levels, as well as to a stepped-up digital campaign for the crossover. He said that improved inventories of the 2016 QX60 crossover also paid off in retail sales in April. The model sold 3,311 for the month, a gain of 17 percent.